Dates: April 3, April 26, May 13, May 24, 2019. Mental Health Professionals: Mental Health Clinicians, psychotherapists, counsellors, psychologists, social workers. Prerequisites: Basic child and family therapy skills. In this 4-module certificate program, you must complete all 4 modules to obtain the certificate. Please note: the individual modules can be taken separately but you will not receive the certificate. 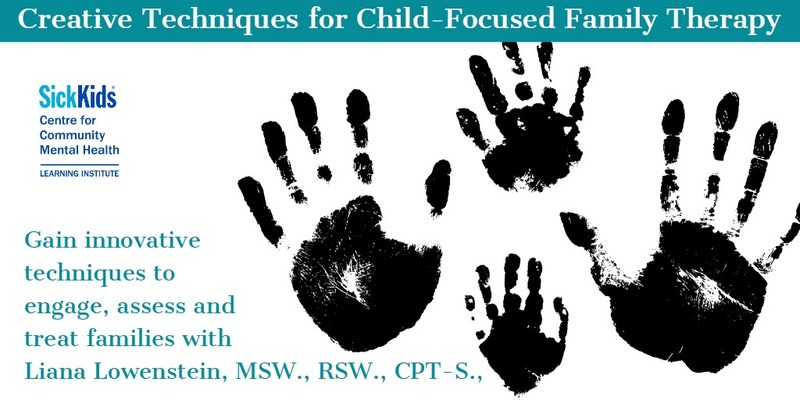 Overview: This four-day certificate program is for practitioners who regularly work with children, adolescents, and their families and are interested in augmenting their clinical skills and therapeutic toolkit. 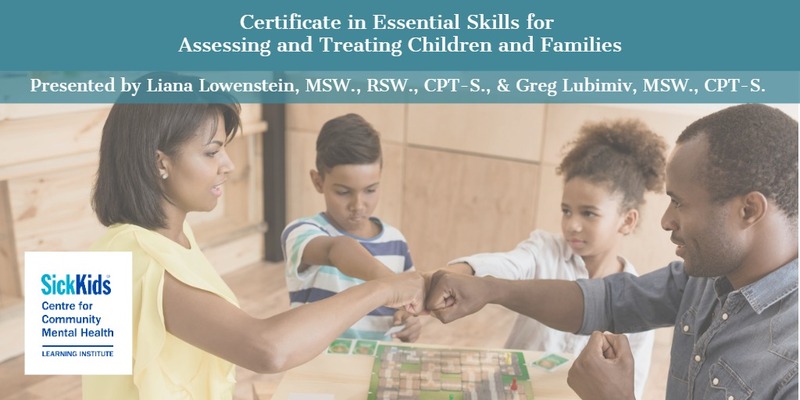 The course will cover various topics including rapport-building, engaging resistant children and parents, implementing an innovative assessment model, strengthening core family therapy skills, and utilizing play and expressive arts techniques. Through didactic presentation, experiential exercises, and videos of actual client sessions, this training will combine theoretical material with hands-on therapeutic techniques. 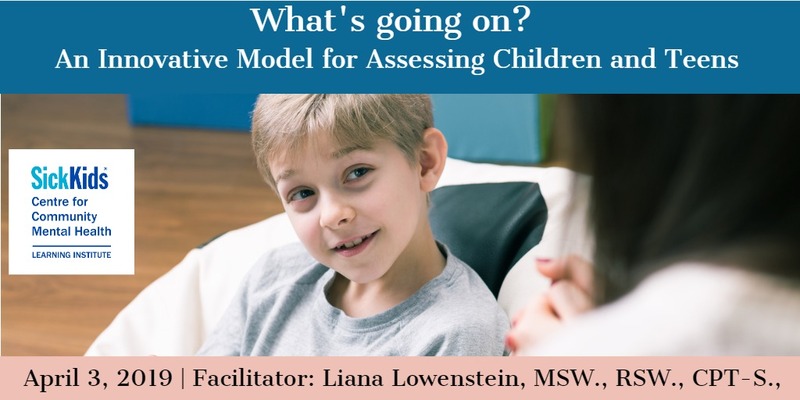 Participants will come away with many new and innovative engagement, assessment, and treatment interventions for use with children and families who present with a wide range of issues. Overview: The initial phase of therapy is perhaps the most important as it forms the foundation for successful ongoing work. An atmosphere of safety must be created in which the child is made to feel accepted, understood, and respected. A comprehensive assessment needs to be conducted so that an appropriate treatment plan can be developed. This course will focus on the beginning phase of therapy, namely, how to build a positive therapeutic rapport, engage resistant clients, conduct a comprehensive assessment, and develop a treatment plan. 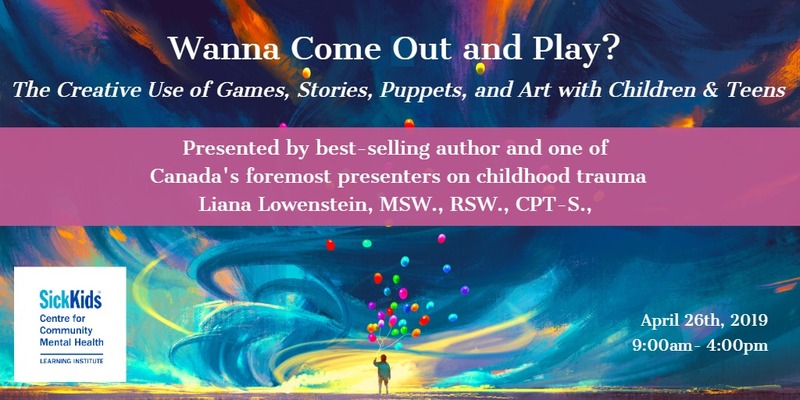 Overview: The creative use of games, puppets, stories, and art engages children and teens in therapy and helps them to resolve their psychological difficulties. Through this hands-on training, participants will learn how to utilize a variety of therapeutic techniques to make sessions meaningful and effective. The activities presented can be used with a wide range of presenting problems and difficulties. Videos and live demonstrations will be used to illustrate techniques. Overview: Working with children in the context of their family has unique benefits. 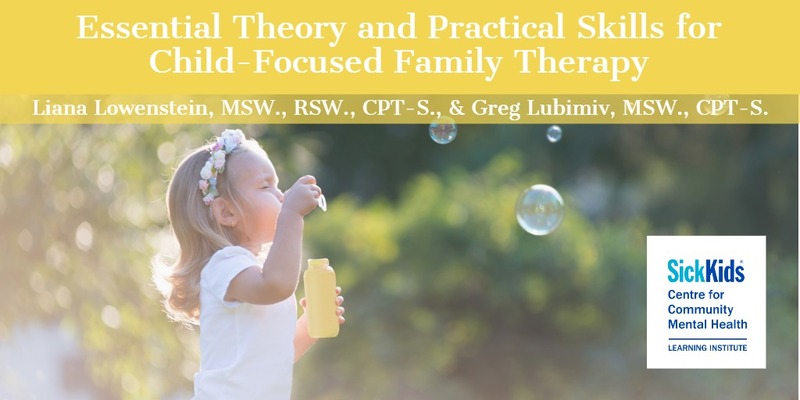 This course will present the rationale for child-focused family sessions, and will outline the major models and essential skills of family therapy. Overview: The use of creative techniques in child-focused family therapy sessions provides a medium for all members to participate, and promotes positive family interaction. This workshop will outline innovative techniques to engage, assess, and treat families. Interventions to strengthen parenting skills will also be described and demonstrated. *Photography is being used for illustrative purposes only and any person depicted in the content is a model, except where indicated.